The first man to hold the UFC flyweight title, Demetrious “Mighty Mouse” Johnson, has gone on to dominate his division, defeating opponent after opponent. But Johnson has not cleaned out the 125-pound weight class yet, and dynamic striker Chris “Kamikaze” Cariaso is prepared to prove that fact to the champion at UFC 178. Plus, this hard-hitting event will feature top contender Donald “Cowboy” Cerrone fighting against international lightweight star Eddie Alvarez, who is making his UFC debut. Also, Dustin Poirier will face Irish superstar Conor McGregor. 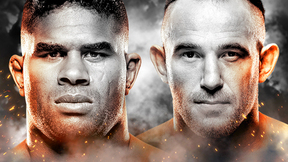 UFC 178: Johnson vs Cariaso — Saturday, September 27th, live on Pay-Per-View from MGM Grand Garden Arena in Las Vegas, Nevada.